Heading into this long weekend, we here at Hit and Run History thought we'd challenge our fans -- especially those on the Cape -- to help raise our profile on the online fundraising site Kickstarter. After all, if you are working to follow the first American voyage 'round the world and you're looking to head down to Cape Horn, you don't turn down the offer of a South American cruise line Cruceros Australis to take you through the Straits of Magellan. So we're just looking to raise the funds to bring our crew down there. It's no accident that we received the first-ever Social Media Outreach Grant from the Massachusetts Humanities Foundation recently. On Thursday, we went to work using Facebook and Twitter especially. Now, thanks to the help of dozens and dozens of our fans, in just 48 hours we have doubled the amount of money pledged and tripled our number of backers. And having just checked on Kickstarter's "Boston Projects" page, you can see Hit and Run History is THE TOP FILM PROJECT IN BOSTON. That's right -- your scrappy band of New Englanders is taking on the world and making a name for itself. But like Captain John Kendrick and the rest of the crew of the Columbia Expedition, we still have a long way ahead of us. So please, take a moment and pledge a buck. Yes, just $1.00. Help us keep the number of backers growing and push us to the top film project in the country. That will take grassroots support. We've proven this works, and we're looking to get the attention of the larger underwriters. On Tuesday night, I was at the New York Yacht Club when the Argentine Consul made sure to say goodbye to me on his way out. That's a hell of a revelation. How did a simple clammdigger from the Common Flat off Monomoy Island get here? It was a 5:15 AM wakeup, a two-hour drive to Providence, the 4-hour express bus ride into Manhattan, and a short walk over. That's literally how I did it. And it would be followed by the 10 PM ride out of the city, getting home at 3 AM. That's the sort of determination it has taken over the past three years to get Hit and Run History noticed. To get us to in the door at WGBH. To get over 1,500 fans worldwide. To get me invited to a reception for Cruceros Australis, the South American cruise line that is offering to take us from Patagonia to Cape Horn. And to end up talking with the Argentine Consul for New York about what the American sailors of the Columbia found in the Falklands. "Malvinas" he corrected me, most diplomatically. But he wanted to know more about these tough Yankee sailors like John Kendrick who attempted the near suicidal rounding of Cape Horn. It's our third chapter of our story. In following the Columbia Expedition around the world, every other location will be relatively easy: Vancouver, Hawaii, China and Japan. But just try to find a flight to the Falklands. Once a week, and pretty expensive at that. Then throw in the End of the Earth - Cape Horn - and Robinson Crusoe Island off Chile. Now multiply by the number of crew we need to do this. 3, 4 or best at 5. We can do this. We can get to all these places. We can get on the ship before season ends and the offer is gone. We can show the world, and the networks, what a scrappy band from the coast of New England can do. Just like our story. But we've just got to get your help. And we need it right away. As a fan, you've probably noticed our posts about our Kickstarter campaign. For travel and production, we only need $19,500. That's peanuts compared to most hour-long episodes of a travel, history or reality show. But my experience as a commercial fisherman has taught me that you can make up for a lot with hard work, tenacity and creativity. And the tides wait for no one. Get out, get what you need, and move on. Now we have a chance to show the angel investors and talent scouts who pay attention to Kickstarter that we have real support. Sure, it would be great if every one of our fans went to our page and pledged $25 (which also gets you a digital download of the film when complete). If that happened we'd surpass our goal easily. Even $10 by every fan would put us within striking distance. But instead, I am writing to ask you today to go to our site and pledge $1. Just one dollar. It'll get us nowhere near our goal. But if we get 500 pledges over this weekend - from just one out of every three of our FB fans -- we will zoom up into the list of most popular projects on Kickstarter. And then the right people will notice. So please, go to http://www.hitandrunhistory.com, click on "Back this project" and pledge a buck. If you get the chance, please, forward this to your friends ask them to do the same. I have been very blessed to have so many talented and hardworking people to work with on Hit and Run History. We'll be stopped dead in our tracks if we can't tell this part of the story - the most dramatic and challenging chapter. Asking for this doesn't come easy. We'd rather just share our stories with you. All we're asking for here is the equivalent of a cold drink on this long, tough road. You'd do that, right? Weeks of pounding the pavement are starting to pay off for the Cape Cod's Gumshoe Historians. Only a week after Hit and Run History (HRH) launched their online fundraising campaign to send them to Cape Horn, they received an early Valentine: a cruise through the Straits of Magellan and around the Cape itself. It could not come at a better time for this scrappy band of New England filmmakers. Using the online fundraising site Kickstarter, on February 3 HRH set an ambitious goal of raising $19,500 in two months. Having followed the story of the Columbia Expedition from New England to Cape Verde, this next chapter would pick up Columbia’s treacherous course around the tip of South America. The funds would cover the costs of a minimal crew of three to film in HRH’s trademark run-and-gun style. As the cornerstone of HRH's fundraising efforts, the Kickstarter project gives fans a chance to connect directly with the series. Pledge rewards range from a small token from the trip, to your name written on a favorite penguin beach, lunch with the crew in New York, or an underwriting mention for your business. But by the all-or-nothing rules of Kickstarter, if HRH doesn't meet their fundraising goal in time, the crew gets nothing. How the South American cruise line became involved is worthy of an episode itself. In December 2010, as the centerpiece of PBS-powerhouse WGBH ‘s History page, HRH was awarded the first-ever $10,000 Social Media Outreach Grant by the Massachusetts Foundation for the Humanities. With part of those funds, Buckley took a risk to fly down to Washington, DC to go to the embassies of the three countries for this leg of the voyage – Argentina, Chile and Britain. Then while in New York City to teach a class at HRH underwriter The Learning Annex, Buckley stopped into each consulate. Besides visiting the disputed Falkland Islands, Columbia’s crew were the first Americans in Chile. It was a combination of Digital Age Social Media networking and good old shoe leather. A day after his New York visit, Buckley got the call that Cruceros Australis would like to have the crew take one of their ships down on a 4-day cruise around Cape Horn. “That was pretty incredible,” Buckley says. The cruise line will receive prominent underwriter mention in the Cape Horn series. Adventure cruise specialist Cruceros Australis employs three ships - Via Australis, Mare Australis and Stella Australis. While making the voyage between Punta Arenas, Chile and Ushuaia, Argentina, passengers visit glaciers, waterfalls and walk in the footsteps of Charles Darwin. The pinnacle of the trip is sailing to Cape Horn National Park. At the “End of the Earth”, Cape Horn is the last territory before arriving in Antarctica, where the Pacific and Atlantic Oceans meet. It is still a gamble for HRH. The crew must meet their $19,500 goal before April 10 or they lose all their pledges. Buckley is now looking for other underwriters. “Hit and Run History offers a great opportunity for businesses to reach a smart, younger audience. Donors can pledge through Kickstarter’s “Hit and Run History: Round the Horn” project page, but will be charged only if the goal is reached. Payments are processed securely via Amazon.com, and are tax-deductible contributions via HRH’s account at Cape Cod Community Television, a 501(c)(3) organization. With an impending trip to China, I’ve continued to consider what is going on with the United States. Meaning, why I keep hearing about how we are falling behind on so many things. It seems to come from many quarters. That we seem to be number one in nothing anymore, save GDP – and much of that owing to consumer spending, and not actually making anything. Stagnation while much of the world catches up and passes us. As a parent, this is a concern of mine. Is my daughter going to grow up in a country, in an economy, of narrowing options? I mean regardless of the quality of her preparation for employment? Cape Cod provides a great example. As I have said many times, Chatham has the most overeducated fishing fleet in the world. The same may go for our entire labor force. People with undergraduate and advanced degrees here are waiting tables, running cash registers, mowing lawns, painting houses, fixing cars, and so forth. They are making do. Even if one chooses to depart from what they were most-expensively educated in, and go into the service sector, it is not like there’s a lot of potential for growth. There are only so many homes, so many lawns, so many cars, so many tables. Even if you had your heart set on it, the environment sounds rather stifling, doesn’t it? And it appears we are following this at a national level. Decades ago, the answer of big business coming to the Cape’s economic rescue died. Yet even a few years ago I heard a current selectman reply to the economic development question, “Face it – General Motors is never going to build a factory here.” What decade of the mid-twentieth century were they referring to? And are those the only choices – heavy manufacturing or nothing? Holding up General Motors as a model for anything, up until maybe last month, is tragically stuck in the past. And perhaps that is the problem. Not just here, but in much of the country, there seems to be a simultaneous lowering of expectations as well as an inability to imagine anything better. What I realized the other day is the United States is behaving like a late-middle-aged couple. When we bicker, no one – likeno one – wants to be around us. And we are ignorant of that. When we talk about ourselves, we still act like we’re the best at everything, when actually, no, Uncle Frank, that was when you were a young man, and, no, you are not still young. And yes, this might have been a great house once, but the roof is leaking and the foundation is cracking and the floors need refinishing. No it’s not, comes their reply. Everything is great. Kind of like the people who insist their house is still worth a million dollars even after the neighborhood begins sporting foreclosure signs. We do not have the best health care in the world. But we do have the most expensive. That is downright foolish. We do not have the best transportation system in the world. We do consume most of the oil. That is wasteful. We do not have the best education system in the world. We do produce students who think they are the smartest. That is delusional. But at least it would explain everything else. 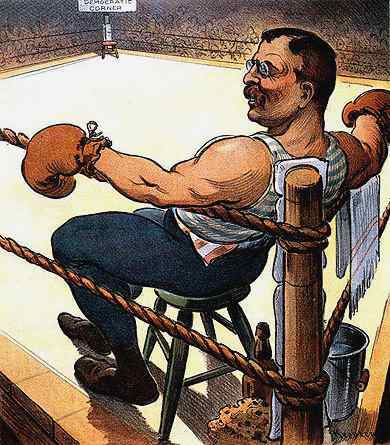 “We are not building this country of ours for a day,” said Teddy Roosevelt. “It is to last through the ages!” Well, that was a hundred years ago. We seem to be satisfied with the idea that the country is nowcompletely built and we can go lie down in a hammock. Done. Finished. Nothing could be, or ever will be, better. Complacent. I don’t believe the answer is more money. We spend plenty. I do believe we have lost our ability to imagine new things, and then encourage them. There are places in this country that were once bustling centers of enterprise, and now are either shadows of their former selves or gone completely. There were industries here on the Cape that no longer exist. The economy moved on. It is very tough thing to consider: What is it going to take for the United States to compete with the emerging economies of the world? What is it going to take to have the best educational system? What are we going to have to do to improve our transportation? How are we going to improve everyone’s health and keep them healthy at a minimal cost? These are business questions, not philosophical ones. They are pragmatic, and I don’t believe they can be answered by one party or the other. See, maybe we don’t feel we need to make these changes. But that’s walking away from the competition. Other countries do and more countries will. Until recently, America has always been a transformative nation. In itself and to its people. In my travels outside the country, I am sure to be seeing great transformations in progress. The question in my mind will be is America willing to transform itself again? HIT AND RUN HISTORY heads 'Round the Horn! We're back at it. Following the first American voyage 'round the world -- the Columbia Expedition. Our pilot took us across New England. Our second, to New York and Cape Verde. But now we're faced with the most daunting leg of our journey. We'll head first to the Falkland Islands, visiting the site of the original English settlement and basis of the sovereignty dispute with Argentina. Then on to the jagged cliffs of Tierra del Fuego and the tip of Cape Horn. At last, we'll wrap up on Robinson Crusoe Island off Chile. This close to Antarctica winter begins in May, so we have to get there soon. We're bringing a small crew, shooting in our run-and-gun style. Just enough to get in, talk to local experts, grab our story, and move on. Gumshoe Historians. So we've gone to Kickstarter and opened a fundraising project. Check out the link: http://kck.st/hbmoKk. We have 60 days to raise the bare minimum to cover our costs. Kickstarter's model is all-or-nothing. If we don't meet our goal by the deadline, no donor is charged and we receive nothing. This is your chance to write yourself into our story. Funding will cover airfare and other travel to these three points. Along the way, we'll shoot, edit and post a video at each location. When we get back, we'll start post-production on this third full-length episode (40-60 minutes). This really is the end of the earth. To follow Columbia point-to-point around the world we have to go down here. Everything after is relatively easy: the Pacific Northwest, Hawaii, China and Japan. But we can't skip over the Horn. It's the toughest part. And it will be our best episode -- and greatest adventure -- yet. Commanded by Captain John Kendrick, the Columbia Expedition left Boston in 1787, just weeks after the Constitution was drafted. A private trading venture financed and crewed by a few dozen former privateers, slavers, refugees and POW's, this was desperate gamble by a country deep in post-war recession. Young men in their late teens in early twenties, equipped with the latest technology and weaponry, were sent off to the uncharted and unpoliced other side of the earth, with instructions to bring back a profit for the owners. This was no Lewis and Clark band of brothers. At their first stop in Cape Verde, swords were drawn in the streets to try to keep men from jumping ship. By the time they approached the Falklands, officers were at each other's throats. This is a great unknown story, and we've found a great way to talk about it. Episodic documentary. Chapter-by-chapter. Part history, part travel, part adventure, part gonzo journalism. Get in the car. There's history out there. Charitable Deduction: Hit and Run History is a project of the Cape Cod Community Media Center, a 501 (c)(3) nonprofit corporation. All donations are processed through our dedicated account there and are tax-deductible (less the value of the reward pledge). With only twenty known to exist, the Columbia and Washington Medal is the rarest of all American medals. It has been the touchtone of this series, bearing the names of many of the men profiled on Hit and Run History. In this series finale, the crew attends the sale of this national treasure in Philadelphia. In their signature "gumshoe historian” style, they head to the auction, interviewing experts and stumbling upon clues to their story along the way. Throughout this series finale, "Power Pop" legend Tommy Keene's Places That Are Gone moves the action ahead to a thrilling finish. Andy's Notes: We came full circle. When we started out this series, only intended eight bios. But then the Columbia and Washington Medal jumped up in our face, begging to be used as our touchstone. So we headed up to Boston for the day. Now, I hope it doesn't come as a shock to viewers, but we didn't film at the Hynes Convention Center first. Instead, we headed to Columbia Point, to do a little general research at the Mass. Archives. Crowell Hatch and Samuel Brown specifically. That footage was used in the opening for much later in the series. And then we headed to the coin show and Mass. Historical's display of the Columbia and Washington medal. So if you look at our series opener, THE MEDALLION, and the first couple minutes of our piece on Samuel Brown, THE REFUGEE, you'll see I look exactly the same. Same shirt. Same haircut. Both shot same day. Well, anyway in September we were faced with a looming challenge on how to end the series. Just BAM -- wrap it all up in THE PRISONER, with us down in Brooklyn at the Prison Ship Martyrs Memorial? Well, if we cut the footage right, sure. Kind of a downer, but it is also important to us to convey a sense of seriousness. Sure, we are pretty good at showing history can be fun, and definitely history is cool. But it's also real. We have to show good and bad. But in looking up more information on the Columbia and Washington Medal on the Stack's web site, I came across a new entry. There it was: Lot number 4196. Coming up for auction in Philadelphia. In ten days. So I called Stack's to check the exact day and time of the auction, then I called Jay to see if he were free, and then I looked up airfares on Kayak.com and found a price for us both. Then I called WGBH to make sure we could tack this onto the end. Kyanna Sutton was very enthusiastic. And so we went. Before heading down though, I got in touch with Tom Dziubek. I had originally heard Tom on The Wall Street Journal's "E Report", which he co-hosted with Paul Herrmann. And as he moved onto Consumerism Commentary, connected up with him via Facebook, and sent word that when we were in the area, we'd like to have him do a cameo. When he agreed, saying his home was only an hour from Philly, I suggested this rabid Bruins fan don a jersey for the camera. On this warm September day, we finally got to meet Tom. There we are, killing time before the auction, walking around Independence Hall, with him drawing stares and glares from Philadelphia Flyers fans. It was great. Not shown in this episode was our visit to Reading Terminal Market. Eating is a big part of our road trips, and we always want to get something local. In this case, cheesesteaks were necessary. So when faced with a huge number of choices, we each got variations on the theme. Mine was the pepperoni cheese steak. All infused with fat, it was just the thing to eat before going on camera. When it finally came time for the auction, we got a chance to go in an actually examine at the Columbia and Washington Medal. Thousands of other items were up for sale, and we had thought maybe 5 or 6 PM would be our time. But it was slogging on. We had to make sure we would be able to catch the train back to the airport in time for our flight home. Unfortunately, Tom had to leave before this. But not before he gracefully caused a scene with his Bruins jersey. I was interviewing Q. David Bowers, Chairman of Stack's and owner of the medal being auctioned. We were sitting in a quiet hallway in the convention center when we heard a WHOOP! We looked over and see someone from Stack's cheering on Tom for his team pride. Stack's is, after all, based in New Hampshire. Hearing the commotion, Mr. Bowers asked me, "Are those... friends of yours?" "Ummm," I looked over, and saw the Stack's person realize what had occurred. But, as usual, it wasn't like we were being obvious setting up our interview. No one's fault. "One of them is." And then we continued on with the interview. So when it came down to the actual sale of the auction, we were able to cover it, and then book it on out the door to the train to the plane to back home. A great day, but a long one. We'd gotten our footage, and we'd gotten Tom, we'd added in a new element regarding Robert Morris (watch to find out). We just needed to edit it. And as we edit these episodes like music videos, we needed the right song. We've been lucky to have many talented local artists lend their work to this series -- and our previous full episodes. The music of Shea Rose, Sidewalk Driver, Mark Cutler and Jenn Vix have all helped make our films look and sound original. But for this one, I had nursed an idea. I wanted to end this series with a bang. I had always wanted to use a song from my youth -- one that would just fit so well. And so I contacted Tommy Keene about using his hit "Places That Are Gone" in our finale. He was great. And because we already had a body of work up on WGBH, we could point to a track record. So to wrap up this series, we had the best of everything. A sudden revelation. A road trip. Meeting new friends. Treasure. Drama. And an excellent soundtrack. All reinforcing our story, and our theme. Yes, history is cool. And there's more out there. Let's go find it. 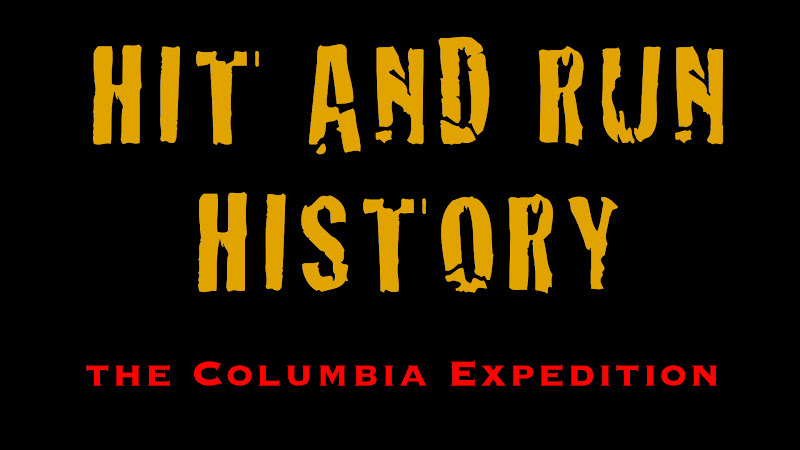 Hit and Run History: The Columbia Expedition is the centerpiece of the history page for PBS-powerhouse WGBH. Watch THE AUCTION online at wghh.org/hitandrunhistory. "Places That Are Gone" generously provided by Tommy Keene. For more information on Hit and Run History following the story of Captain John Kendrick and the Columbia Expedition visit their fan page on Facebook. The crew of Hit and Run History heads to Boston to investigate a son of the North End: Joseph Ingraham. Years before Ingraham was chosen as second officer of the ship Columbia, he experienced the Revolutionary War firsthand, along with the Boston Massacre and Tea Party. On board the Massachusetts warship Protector, he battled a British privateer, only to be captured the next year. Between Manhattan and Brooklyn, Ingraham would be crowded on board the prison ship Jersey. Hit and Run History meets up with historian Joshua Smith to talk about the horrible conditions Ingraham would have faced aboard the prison ship Jersey—known to its inmates simply as "Hell." Andy's Notes: Joseph Ingraham was a real challenge for us. When we committed to doing a series of biographies with WGBH, I just liked the number eight. There were six owners behind the the voyage, with their names emblazoned on the Columbia and Washington Medal. But in our second episode, we'd already profiled the New Yorker John M. Pintard. So that left five. But I also felt we hadn't done enough in our first episode for John Ledyard ("THE HERALD"), who brought the idea of global trade to the United States. If we didn't deal with him now, the series, I felt, would need to move on. So he was placed in the front of our series. The famous Captain Robert Gray ("THE ROVER") was a natural for adding onto the end, with his connections to the two previous profiles of owners (and slavers) Crowell Hatch and Samuel Brown. So that left us with seven bios to film. That didn't feel right. And there was one more compelling character I wanted to talk about. Now, you wouldn't naturally think that the 2nd Mate of the any ship would be as worth of note as, say, the captain or the wealthy men behind it, or even the junior officer who kept the log. But the Columbia Expedition made Joseph Ingraham's reputation. His later writing shows him to be perhaps the most talented writer and artist of the lot. There always seemed to be a Lord Jim quality about him, and for some reason, in my mind's eye, he is played by a young Daniel Day Lewis. In the log of a later voyage, Ingraham refers to suffering during earlier years, but does not specify what that might have been. My first assumption was that he grew up poor in Boston and worked his way up to earn the rank assigned by Captain John Kendrick, commander of the expedition. Speculation by other writers mentions probable service as a privateer during the Revolution. But further research revealed that Ingraham was a prisoner on board the British prison ship Jersey. When we spent the better part of the day at the Mass. Historical Society, we were able to nail down that he was indeed from Boston -- in fact the North End, by dint of his baptismal at the New Brick Church. We then could imagine him growing up, watching the same scenes that Charles Bulfinch did, of Boston during the Revolution. But in contrast to Bulfinch's privilege. Wrong again. Right about the time of the Boston Tea Party, Ingraham's father moved the family west of the city. And they weren't poor. His father was a wealthy ship captain and -- big surprise by now -- slaver. And we now know how much quiet the Ingrahams found in Concord in 1775. They really couldn't escape the war. Using Ancestry.com, we were able to look up more details about his wartime service. We already knew we would be heading down to New York for this one, but didn't have the full details of how he came to be there. Luckily, our good friend Josh Smith, who teaches at the U.S. Merchant Marine Academy, was already in Manhattan that day, and offered to come down to Pier 11, at the end of Wall Street. Although our plan to take the water taxi over to Wallabout Bay fell through. We found out it doesn't run in the middle of the day. Not much of a water taxi -- more like a water bus. An infrequent one at that. Instead, we hailed a real taxi and drove over to Fort Greene Park. Walking up to the Prison Ship Martyrs Monument, Josh put Ingraham's experience on board the Jersey in context. It also helped to head to the nearby museum to see a diorama of the burial of dead prisoners on the shore. A pretty horrific scene of the nighttime ritual. Conditions were so bad on board these ships, gravedigging detail was seen as a real privilege. But still, questions remain as to Ingraham's time on board the Jersey. Chiefly, we haven't found any record of when he was released. Various shipmates of his returned to Boston two to six months after their capture. Perhaps he remained on board until the British evacuated New York in 1783 and the Jersey was left to rot on the shores of Wallabout Bay. Or he could have been paroled with no record. Perhaps he escaped. Two other options remained: he bribed his way off, or he gained his freedom by joining the British Navy. Neither of those appear very honorable. But then again, the conditions on board these ships was horrific. As with any of our subjects, no one is wearing a completely white or black hat (maybe some more than others of the latter). With any luck, we'll learn more about Ingraham's background, giving us a fuller picture. What I am happy about is that we are able to, in this last bio, show that assumptions are touchy things in historical research. Hit and Run History: The Columbia Expedition is the centerpiece of the history page for PBS-powerhouse WGBH. Watch THE PRISONER online at wghh.org/hitandrunhistory. Boston soundtrack, "Small Talk", provided by Sidewalk Driver. New York soundtrack, "Rock'n Rose", provided by Shea Rose. For more information on Hit and Run History following the story of Captain John Kendrick and the Columbia Expedition visit their fan page on Facebook. On Christmas Day, two presents had been left unopened until 1 p.m. Sofie brought it out for all her extended family to see. She already had quite a haul. Skates from Santa. A Zhu-Zhu pet from her grandmother. A bracelet from her cousin. And lots of clothes. The note on the smaller one said “Open me first!” She deserves a lot of credit for remembering exactly at the appointed time to get both presents and then thoughtfully proceed as per instructions. Inside the small box was something fairly familiar: her passport. Now, for background, you have to know my daughter was born in Germany, and lived her first year there. She’s visited her Austrian grandparents many times over there. Subsequently, Sofie has had two passports – her first issued under the auspices of the US Department of Defense, and her second from the State Department, like most of us. Her more recent one has stamps all over it. Belgium. Germany. Canada. The Netherlands. She’s crossed the Atlantic more than most people ever will in their whole lives. Getting on a plane for her is like getting on a bus for other kids. Unwrapping the package, she found a child’s picture atlas of the world. That made her happy enough, to be sure. One of her favorite place mats at the dinner table is a map of the world, and it prompts all sorts of questions. Where have you been? What do they speak in India? What do they eat in Uruguay? Times like that, I am glad I can pull out my laptop so we can go about finding the answers. Six times seven, plus one, after a little figuring, was 43, and that was definitely a page number. And she opened to the spread on China. “Two times three is easy, Papa!” she said, and scanned the page for the number six. The entry on the page was for Hong Kong. For the last two years, Sofie has been asking me when she could go to China. Or Hawaii. I told her it was probably one or the other. The questions started before we went to Disney World, but kicked into high gear when she learned that, having hit Orlando for five days, upon completion it had now fallen down to the bottom of the list. There were other places to see in the world. “Like China,” she noted. Right, I said. But, I added, she’d have to be a little older, a little more mature. Eight was the age I picked. That also gave me time to save up the money. The first and only time I was in China was in 1998. It was the last few days of a 27-day odyssey through Southeast Asia, looking for the wreck of Captain John Kendrick’s Lady Washington. I had flown from Manila into Guangzhou with a 48-hour visa. After a night at the Sun-Yat Sen University, I was squired around in the by grad student Zhou Xiang, hopping sampans to visit a 200-year-old cemetery for Westerners located on an island controlled by the Chinese military.Then it was into a taxi for a breakneck 90-minute taxi ride to an industrial park on the far outskirts of the city where the new catamaran would whisk me in a few hours down to Hong Kong. Coupled with a few nights in nearby Macao, the place left quite an impression. Since then I’ve been able to remain in touch with Zhou Xiang. While she was studying in Sweden, she brought her husband through Wiesbaden when I was living there. Two years later, while doing post-doctoral work at Harvard, she once looked after our prized corgi, and became friends with a one year-old Sofie. So in December, having won a grant from Mass. Humanities to promote our documentary series following the Columbia Expedition, I received an e-mail notification. The Hong Kong International Film Festival deadline for submissions was fast approaching. It would be held the end of March and early April. Sofie’s eighth birthday falls within that timeframe. And application fees for film festivals falls within the purview of the grant (if not the travel itself). Fingers crossed, we applied online within hours of the deadline. While it is a roll of the dice, there are definitely business reasons to go regardless of being selected or not. Our story took place partly in China, so it certainly should be of interest there. But if I were to go, it would have to be in the company of this four-foot-high seasoned world traveler. She loves potstickers, wants the next language she learns to be Chinese, and still has empty pages in her passport. This is quite a time to return to China. There is a steady drumbeat of news stories contrasting their surging economy with our own. Their move from a manufacturer of cheap toys toward a 21st century model of next-generation green technology, and their ability to jumpstart their economy through staggering investments in infrastructure, really makes us look like we’re squabbling over the placement of deck chairs on the Titanic. I’m curious to see the changes that have occurred there during a time marked roughly since Sofie’s birth. Such as that out-of-the-way ferry terminal which now stands at the heart of a new Guangzhou. It would be as if downtown Boston moved to Foxboro. This sort of thing nags at me, and makes me wonder if as Americans, we’ve forgotten how to build things. Or simply lost the will.Besides, there’s a Disney World in Hong Kong, a day trip to which will make a great birthday present. And I happily get to see that immediately fall to the bottom of a very long list again. The Hit and Run History crew roves across New England in search of Captain Robert Gray. Although the Columbia Expedition is Gray's claim to fame, the Rhode Island native’s personal history is murky. Following the end of slave trade in the Ocean State, Gray was chosen as second-in-command for the first American voyage around the world. But until this point in the series, it’s unclear why he was picked. A visit with Gray’s descendants in Massachusetts reveals the legacy they inherited -- and leads to a surprising discovery of artifacts of untold historical value. Andy' notes: To start, I knew I wanted to use Jenn Vix's "Rover" in this series. She had posted a video of it to her Facebook page, using scenes from the television show, "The Prisoner." At first I thought that because she's from Newport, it would fit for Samuel Brown, who grew up there. But, really, when we learned Captain Robert Gray wore an eyepatch, what moniker would fit better than "Rover"? Now, Robert Gray's name is not on the Columbia and Washington Medal. We led off this series of biographies on WGBH with THE HERALD, John Ledyard, who first conceived of the a global trade via the Northwest Coast and China. If he had succeeded in selling his idea, his name would emblazon our medal. I had always recalled reading a note in some previous book that Gray had previously captained the ship Pacific owned by Crowell Hatch and Samuel Brown. But I could not recall the citation, I didn't know where this was or when. Do any search of "Robert Gray" and "ship Pacific" and you will be drowned in references to the Columbia Expedition. It seemed like a fool's errand. We stopped, then, with Samuel Brown. But as we left the series in Newport with that slave trader, we felt we should continue on with the Rhode Islander Gray. He came from Tiverton, but the only thing we knew for certain was that he arrived in Castle Roads in Boston Harbor in the Lady Washington just prior to Columbia's departure in September of 1787. Lots of rumor about his being a Revolutionary War navy lieutenant, but no records. Our trip to the Boston Public Library again found nothing on the guy. Likewise, I had a name of one of Robert Gray's descendants in my notebook, and at long last put my old investigator skills to work and found William N. Twombly. He generously offered to show us what he had, but also referred us to his cousin in New Hampshire, William R. Twombly, who had sailed on board the replica Lady Washington in the Pacific Northwest. Our interview with WR Twombly, on the porch of his family home overlooking a broad valley on a glorious autumn day was near-perfect. He couldn't have been nicer. He's participated in reconciliation ceremonies with the First Nations on Vancouver Island who suffered greatly at the hands of his ancestor in the Columbia. From there, it was off to WN Twombly's home, where we thought we might find a few documents from Captain Gray's later life. Instead, he immediately showed us this letter box and the fun continued from there. There's no way I can convey the wonder of discovery better than this episode, so please watch. Hit and Run History: The Columbia Expedition is the centerpiece of the history page for PBS-powerhouse WGBH. Watch THE ROVER online at wghh.org/history. Soundtrack generously provided by Jenn Vix. For more information on Hit and Run History following the story of John Kendrick and the Columbia Expedition visit their fan page on Facebook.